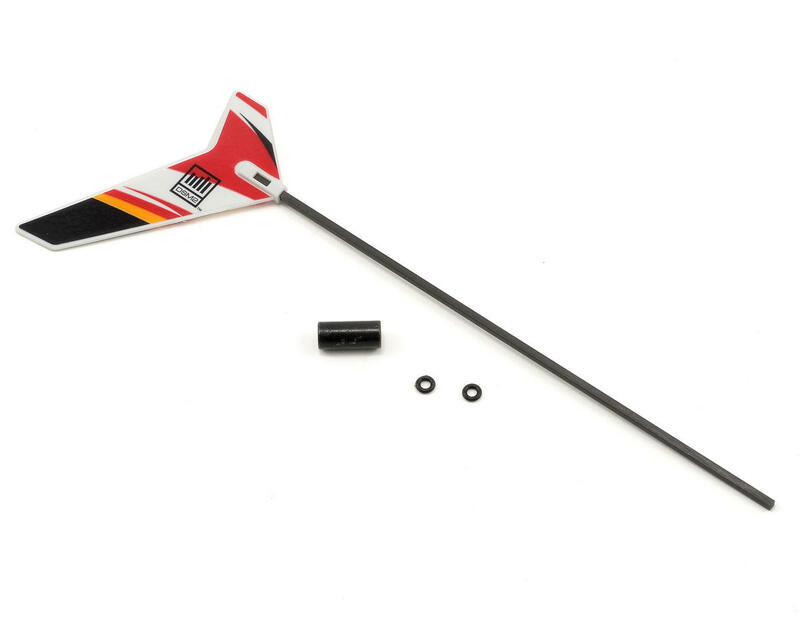 This is a replacement Carbon Fiber Tail Boom with Fin, and is intended for use with the Blade mCX2. I purchased this along with my MCX2, and after several flights in stock form I decided it was time to upgrade the tail assembly. I had researched the CF tail boom before I purchased it and was aware of those who had experienced tail vibration issues. Before I installed mine, I checked the lower gear assembly (drives the top rotor) for excessive play and discovered I had roughly 1mm of play from top to bottom. Some of those with issues reported that slop in the gear was responsible for their tail vibration. I loosened the two screws on the bottom gear collar and tightened it up prior to CF tail boom installation. I also used the extra rubber canopy grommets from my MCX2 on the tail weight, as the supplied O rings are a loose fit and allow the tail weight to move around - the canopy grommets are nice and tight. My first flight with the CF tail went very well. I had some slight vibration at first but it seemed to work itself out. I can definitely tell a difference in performance, my flights seem to be smoother and the MCX2 feels a bit more nimble in the air. In addition, with the weight all the way forward my forward flight is more aggressive and more fun, in my opinion. My wife even noticed a difference. This part is solid, and affordable - I recommend it for anyone looking for a change in performance and looks. Just make sure you check for any loose parts or excessive gear play before installation as any existing vibration will be amplified with the solid tail.